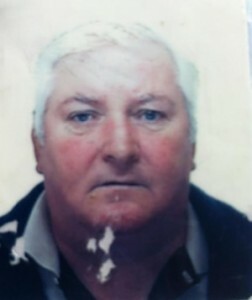 Fife Police have renewed their appeal for missing High Valleyfield man Andrew Millar. Mr Millar has been missing for almost a fortnight. Andrew Millar, 66, suffers from a number of medical conditions including Angina and Diabetes, and his family are now concerned that, even if he took medication with him, that will have now been used up and he is at serious risk of developing complications. Mr Millar was last seen on July 16th, when he took a bus from Dunfermline to Dumfries via Buchanan Street Bus Station in Glasgow. He has no known connections to Dumfries. Chief Inspector Chris Stones, of Police Scotland’ Fife Division, said: “It is a mystery as to why Mr Millar left his home and travelled to Dumfries, as he had no previous connections with the town. As there have been no confirmed sighting of him since then, he may have travelled on from there, possibly to the North of England.